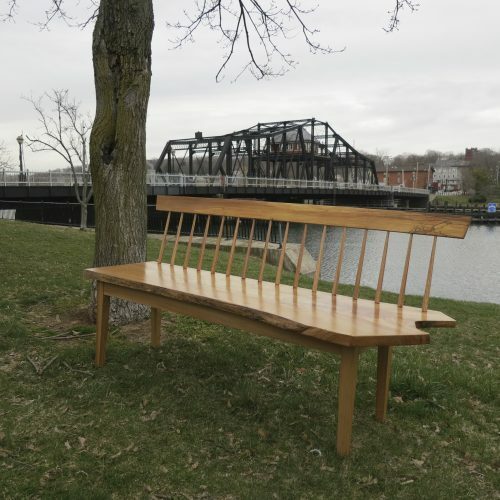 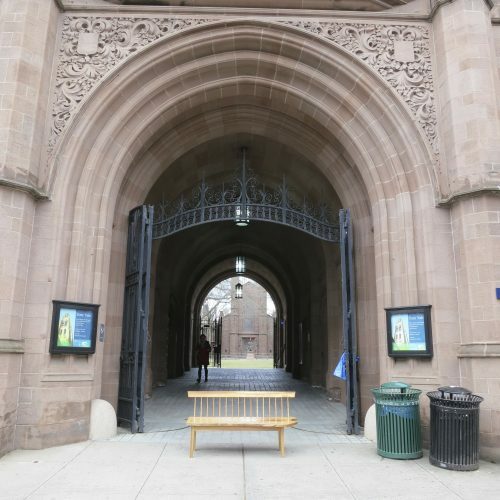 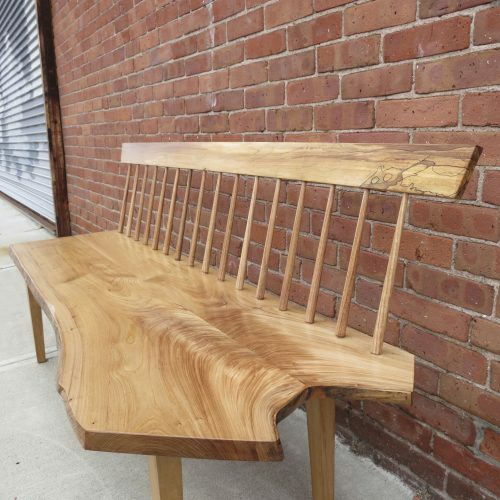 When the president of Yale retired in 2013 we were asked to make a bench as a gift for his departure. 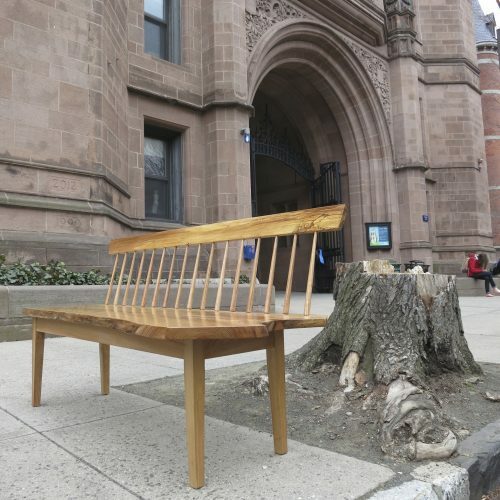 The bench is made bench from elm that came down in front of Yale’s Phelps Gate. 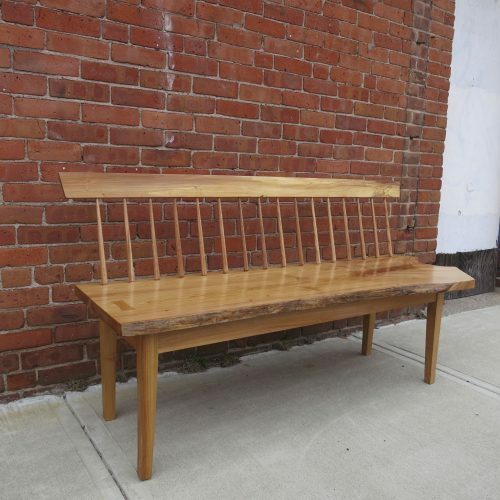 On delivery day we couldn’t resist doing our own photo shoot around town. 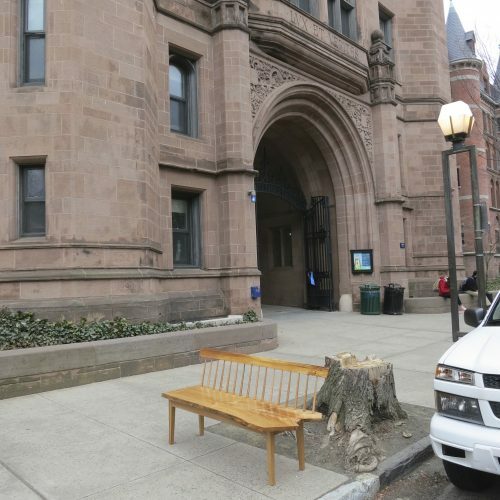 The tree stump in front of Phelps Gate is the elm.